Register Log In AmbergrisCaye.com Home Forums News BTB: Karen Bevans Next Director? What's next for the Belize Tourism Board? We know all about the tumultuous and disorderly departure of the last director Laura Esquivel after her managers pulled a palace coup on her. So, who's next for this important national organization that's reeling at the highest level? Well, we can confirm that outgoing Chief Operating Officer at BTL Karen Bevans went to meet Minister Manuel Juniour Herredia at BTB to discuss the job today at 2:00 pm. We are told that Bevans, who is leaving BTL after 25 years – much of it in senior management - got the nod from Cabinet last week. She is being handpicked for the job because they hope she can bring some leadership and stability to the organization, which has gone through three directors in six years – two of them resigning after less than two years. And while she is being invited to take up the post, Bevans told us today that she is in discussions about the job, but nothing is formalized and she has not told them yes. Bevans's last day at BTL will be tomorrow. Exactly one week ago, we showed you former BTL senior executive Karen Bevans going into the headquarters of the Belize Tourism Board to talk to Minister of Tourism Manuel "Juniour" Heredia about taking on the post of Director of Tourism. Bevans had been hand-picked for the job by Cabinet, but last week she hadn't said "yes" yet. Well, she has now. A BTB release issued an hour and a half ago confirms that she is the new Director of Tourism and that she takes up the job next week Wednesday, April 9th. Tourism Minister Manuel Heredia is quoted in a release as saying "Her impeccable reputation precedes her and we certainly expect to see great things from her. " Of course, we are told Heredia had little say in the matter, this was, as we said, a Cabinet call – since Heredia and his board's last two hirings for the Director post - resulted in abrupt and tumultuous resignations. Tourism industry types – who have come to look somewhat disdainfully on the BTB for institutional bloat and irrelevance – will be watching developments closely since Bevans has no prior experience in tourism. She does have a stellar reputation as a telecoms executive honed in 25 years at BTL where she worked her way up from Administrative Officer to Chief Operations Officer. The Belize Tourism Board (BTB) is pleased to announce the appointment of our new Director of Tourism, Mrs. Karen Bevans. 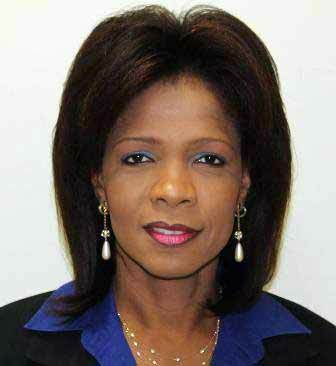 Mrs. Bevans joins the BTB after 25 years of service with the Belize Telemedia Limited (BTL). She began her career at BTL as an Administrative Officer, then, was promoted to Manager of Administration, Human Resources, and Public Relations, followed by General Manager of Marketing and Administrative Services, which later changed to include further responsibilities of Business Development, Marketing and Sales, and then named the Head of Business Development, Marketing and Public Relations. After a reorganization of the company, she was appointed the General Manager of Business Development and Marketing, and then became the acting Chief Operations Officer, before her latest position as the Chief Operations Officer. She, therefore, brings with her a wealth of knowledge in administration, marketing, public relations, sales, and management, having held the various positions in her ascension to Chief Operations Officer. She holds a MSc degree in Business Administration from the University of Phoenix, and a BSc degree in Management and Psychology from the University of Ozarks in Arkansas. Her past position allowed her to attend several international training sessions in Executive Management, Leadership, Public Relations, Business Development, and Marketing, which gave her vast exposure and allowed her to network with international firms. “We are very happy to welcome Karen Bevans to the organization. Her impeccable reputation precedes her and we certainly expect to see great things from her. The industry has been excelling in both overnight and cruise arrivals, and our rebranding of the country has given us great international exposure. We look forward to working with her as we continue to build momentum,” commented Minister of Tourism, Culture, and Civil Aviation, Hon. Manuel Heredia Jr.
Mrs. Karen Bevans assumes her position as Director of Tourism on Wednesday, April 9, 2014.